Gum disease is extremely prevalent among adults from all over the world. As such, there is a wide range of available treatment plans that patients can opt from. While regular cleanings and impeccable oral hygiene are fundamental to improving all conditions of the gums, the holistic approach to the course of treatment for gum disease can assure a higher rate of long-term success. Gum disease is a chronic condition and therefore, it cannot be fully cured. However, it can be managed efficiently as long as patients are determined to integrate certain healthy habits into their daily routine. Let us tell you about the basics of the condition and how holistic treatment can restore your health efficiently. Periodontal disease, commonly referred to as gum disease, is a complex infection of the gums and bone surrounding the teeth. Among the multitude of predisposing factors are smoking, diabetes, an imbalanced nutrition, stress, substance abuse, pregnancy, and aging. The primary cause however, is dental plaque accumulation. Whether this occurs as a result of unsatisfactory oral hygiene or a genetic predisposition for developing the condition, dental plaque is extremely damaging to both the teeth and the gums. It includes a very high population of bacteria that end up injuring the gum lining of the teeth. If plaque is not removed regularly it is mineralized by way of saliva and is converted into tartar or calculus. The difference between plaque and calculus is that plaque can be removed easily by the individual with a toothbrush, floss or similar instrument. Calculus, however, is highly mineralized and similar to a weak stone like deposit. As plaque tends to coat calculus just as it did the original tooth surface, calculus thickens over time. It is stubborn, often surviving attempts to remove it by the individual. Periodically, the rough surfaced calculus needs to be removed. If it is, the gums can be easily treated and the recovery can often be complete. However, if the plaque and associated calculus manages to burrow into the gum lining deep enough, it can cause more complex issues, such as gingivitis, in which the inflammation is still primarily limited to the gum tissue edge. If gingivitis is not treated correctly, plaque accumulations can lead to periodontitis. As plaque spreads under the gum line, it causes a chronic inflammation of the gum, due to the effect of the toxins released by the bacteria. Eventually the gum tissue surrounding the teeth becomes weak and additional plaque deposits push deeper into the gum crevice, creating inflammation of the bone surrounding the teeth. This progresses up to the point where the gum lining is more easily separated from the teeth increasing the depth of the crevice around each tooth. These small “pockets” where the gum is lifted from the teeth are very dangerous because they make the gums and bone extremely prone to more severe infections. The bacteria-rich plaque progresses quickly up to this level making the lifted gum sensitive to trauma caused by chewing or brushing, which actively gives way to bacteria entering the bloodstream. Furthermore, minute fragments of food can remain inside the pockets, to feed bacteria, unless they are properly cleaned. As the inflammation progresses, the pockets get deeper and deeper as the tissue damage progresses. In advanced cases of periodontitis, the ligaments of the teeth become swollen causing the teeth to move within the socket. This situation requires urgent medical attention because if the disease is allowed to progress even further, the ligaments of the teeth will be destroyed completely and eventually, the teeth will fall out. The damage caused to the ligaments is irreversible and special techniques need to be applied to eliminate the infection and hopefully salvage the tooth. In its first stages, gum disease is not painful and its symptoms are quite subtle. Therefore, it is quite easy for patients to neglect the condition. The amount of dental plaque necessary to determine gingivitis can be quite difficult to notice with the naked eye. This is why it is crucial that patients commit to a periodic examination and treatment plan. In fact, this is the most important measure that can be taken in order to prevent the onset of gum disease. We are going to take you through the main aspects of the symptomology of each of the types of gum disease. If patients notice these signs, then they are advised to go see a dentist at their earliest convenience. Treating gum disease from its early stages can minimize the damage it causes and enable the patient to restore the health of his gums. Bleeding Gums – This is the central tell-tale sign of gingivitis. Patients will notice their gums bleed almost every time they brush their teeth. When this happens, our advice is that they go see a doctor as soon as possible because treating gum disease at this point is quite efficient. The Reddening of the Gums – As the gums become more irritated from the infection, blood vessels increase in size to allow large numbers of bacteria-eating white blood cells into the inflamed area. The Slight Swelling of the Gums – The swelling occurs at the tooth edge of the gum, as this is the section that comes into initial contact with the plaque. Both the swelling and the shift in color are caused by the local inflammation. Bleeding Gums – If the gingivitis is not treated, then the sensitivity of the gums increases considerably. Therefore, the bleeding becomes more important and also more frequent. The Red or Red-Purple Color of the Gums – Due to the chronic state of the inflammation and the progress of the condition to the deeper sections of the gums, bone involvement occurs. The local circulation of the edges of the gums becomes damaged and this portion becomes red-purple. The Presence of Pus Inside the Pockets – The infection site is quite deep inside the pockets and as such, when pressure is applied to the gums, a purulent discharge can be observed at this level. It consists of massive numbers of infection fighting white blood cells. Persistent Foul Breath – Due to the infection occurring in the deeper regions of the gum crevices, tissue begins to die. This in conjunction with rotting food particle in the pockets, presents a permanent source of foul breath. Even immediately after cleaning their teeth, patients with periodontal disease cannot get rid of the unpleasant smell of their breath. The Movement of the Teeth – When the tooth ligaments become affected by the infection, bone is actively destroyed and the teeth become more and more mobile in their sockets. This enables the condition to progress rapidly. As explained above, in advanced stages of gum disease, infection occurs in the deep sections of the gums. This is a chronic condition and the infection essentially persists at this level for a long period of time. Due to the fact that the circulatory system is shuttling blood from this infected area it is quite easy for bacteria to enter the bloodstream and make their way through the heart. As the lining tissue of blood vessels is a prime target for circulating bacteria, is is not a surprise that gum disease affects so many widely dispersed body organs. Moreover, a chronic inflammation state determines a cascade of reactions in the body, centered on the release of damaging endotoxins that in time trigger the onset of atherosclerosis. This is manifested by the presence of fatty deposits in the arteries and thus, the thickening of the arterial walls. Since these deposits have a soft consistency, it is quite easy for them to rupture, thus causing a thrombus in the blood vessel. This is extremely dangerous because a thrombus clot will block all of the smaller arteries branching after the blockage, stopping the blood flow to a wide area of tissues supplied by that artery line. This leads to a region of dead tissue called an infarction. When the affected blood vessel is one of the coronary arteries, the patient suffers a heart attack (myocardial infarction) and when one of the arteries in the brain is affected, the patient suffers a stroke. As explained above, gum disease is caused by a complex association of predisposing factors and one or more causing factors. One of the causing factors is a genetic predisposition for the disease, which means that gingivitis, along with all of its complications, occurs much easier in these patients. The other main causing factor is poor oral hygiene. It is important that patients begin gum disease treatment at home. 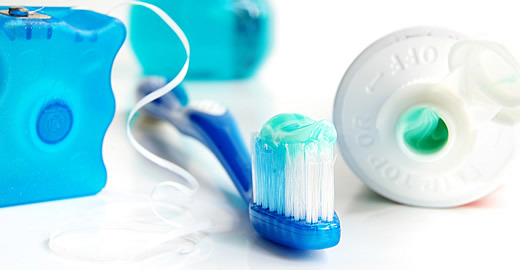 Brushing teeth at least twice a day is fundamental to preserving their health. The dentist will prescribe the appropriate type of toothbrush for patients, as well as the ideal toothpaste for their issues. Aside from the daily cleaning routine conducted by the patients, the doctor will also establish a long-term professional care plan. This will include scaling and root planing sessions, as well as treatment for the specific conditions presented by the patient. Lastly, the plan must include regular check-ups so that the doctor can assess the progress of the treatment and discuss it with the patient. In some offices doctors will use a special dental laser that is designed to destroy the bacterial invaders. A simple, pain free, application of the dental laser reduces bacterial levels from millions to hundreds. Reducing the bacterial levels this significantly can make the difference between success and failure in treating gum disease. The key is to determine the frequency interval of laser application necessary for each individual patient, whether it be once every month or once every 6 months or any frequency in between. These three factors alone contribute dramatically to the development of gum disease and, therefore, they need to be eliminated as much as possible. However, this entails a long-term process that patients need to commit to. They will need assistance, guidance, support and coaching all throughout this process. It is imperative that the holistic dentist makes sure that his patients have access to this. While this might seem like a less important section of the treatment plan, it is, in fact, one of the key solutions. Reducing stress directly enforces the body’s ability to fight disease and this is crucial to the successful management of periodontal disease. The holistic dentist can help patients find the best ways possible to relieve stress. From meditating, yoga classes and all the way to extreme sports, patients have a wide range of choices available. The dentist will need to assess whether or not patients present bruxism, a condition which entails the prolonged grinding of the teeth. This has a significant effect on the gums and can greatly contribute to the development of periodontal disease. Improving the patients’ sleep patterns, reducing stress, and identifying the cause of the bruxism, which in most cases is psychosomatic, constitute the main objectives in the treatment plan. Ignoring bruxism will allow the habit to increase stresses on teeth to the point that they can and fall out. It is like forcefully rocking a fence post in soil back and forth until it can be removed. The holistic dentist will determine the necessary changes that patients need to make to their diets so as to improve the general quality of their nutrition, as well as the health of their gums. The consistency of the food is also significant, particularly for patients who present a high level of inflammation. As you can imagine, rough food needs to be replaced with softer and smoother alternatives. Moreover, fried and fatty food may need to be reduced and healthier options, such as leafy greens, whole grains, and dairy products considered. Maintaining ones teeth allows for healthier food choices, which allows for better nutrition, which allows for a better functioning immune system and adding years to ones life. Managing gum disease entails a lifetime of improving one’s health. To a certain extent, the condition could be regarded as a reflection of a person’s state of health. Therefore, the holistic approach to the treatment plan assures the highest chances of success because it includes the most important items of the classic treatment, as well as the best ways to enhance the body’s ability to improve itself.